Do your little learners love to engage in imaginative play? They will love this Ice Cream Shop Dramatic Play center! It includes everything you need to set up an engaging space in your dramatic play corner! Dramatic Play is a great way to develop oral language skills, cooperation, content vocabulary and social skills in your early childhood classroom! 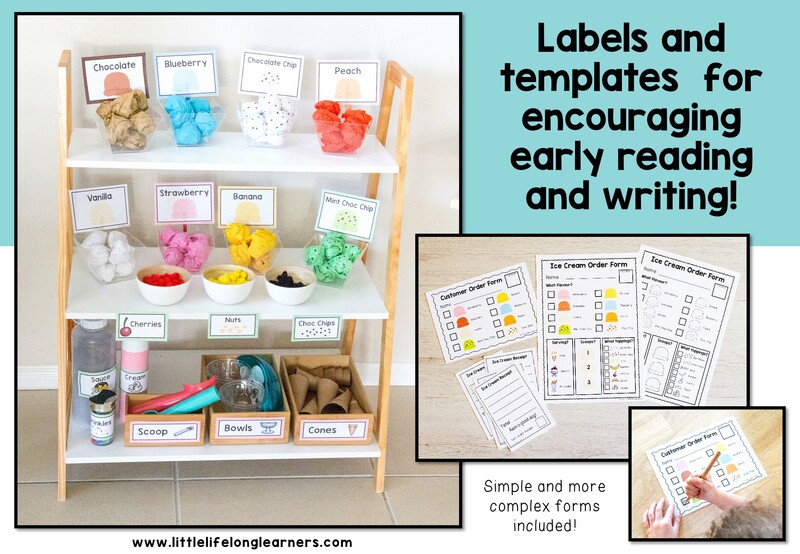 Inside this packet, you’ll find posters, labels, printable fill-in order sheets and more! 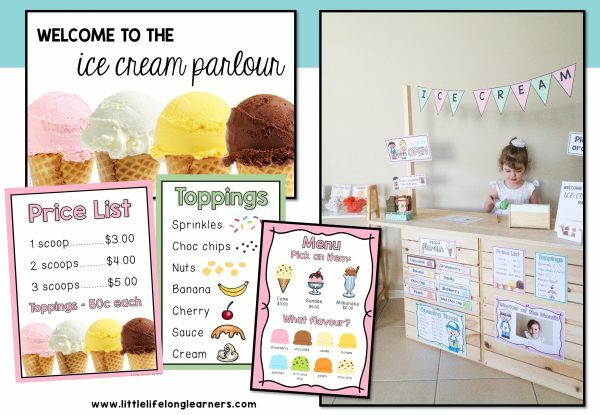 Your little learners will develop early reading and writing skills as they play in the ice cream shop. 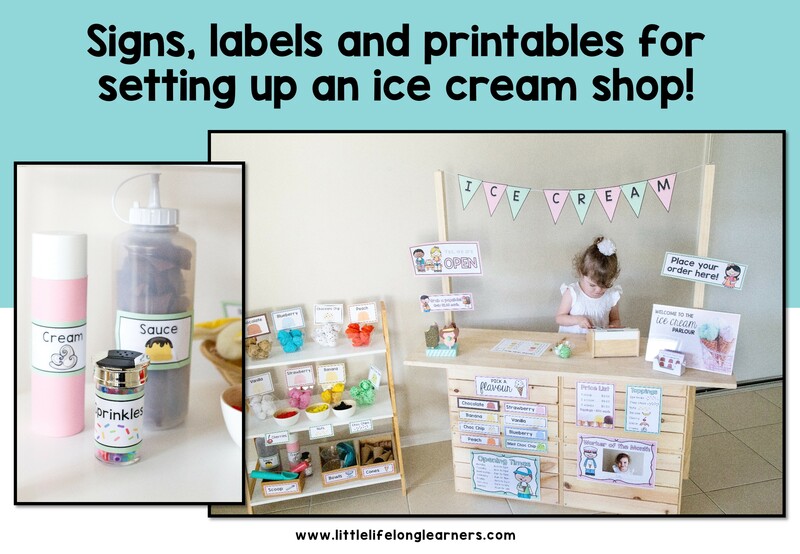 They will begin to recognise familiar words such as the ice cream flavours and toppings as they become familiar with the labels. For younger learners, you may wish to simplify and just pick 3-4 flavours and toppings. You can then create your own custom menu using the individual flavour cards found on pages 23 and 24. 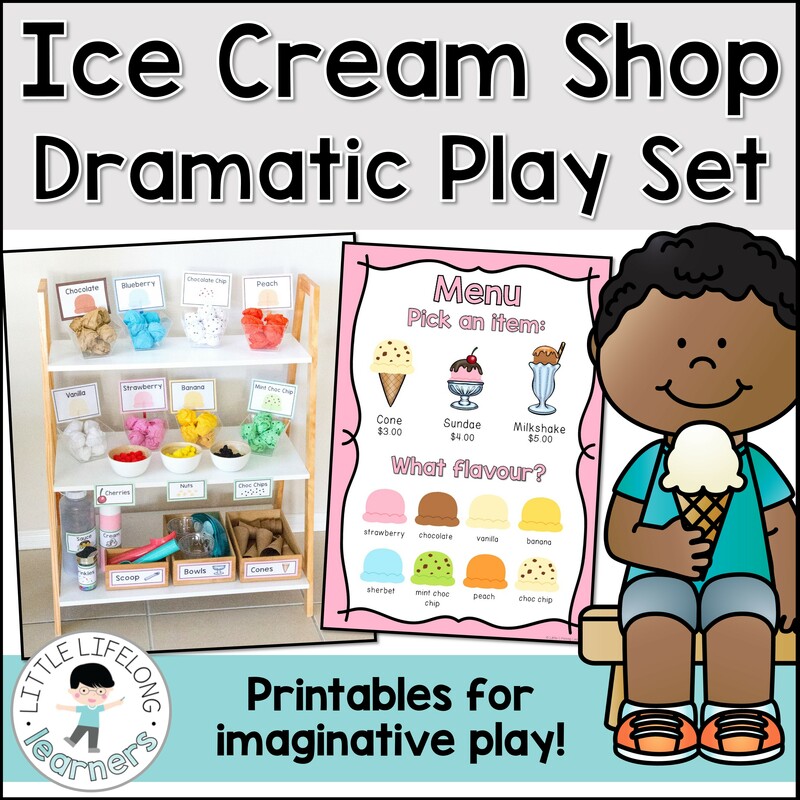 Click here to see my other Dramatic Play sets! Please note, both Australian and American spelling is included where applicable.